Immerse yourself in a mesmerising world of tropical splendour with an unforgettable Cancun holiday. Here are our top picks for a sensational 4-star escape. Leave your cares behind and discover tropical luxury beside the Caribbean Sea with a 5-star holiday in Cancun. Take your pick from the stunning hotels and resorts we have on offer. Situated in South-Eastern Mexico, the city of Cancun is a vibrant and culturally rich city that’s bursting at the seams with tourist attractions and activities. As one of the most popular tourist destinations in the whole of Mexico, it is little wonder that Cancun attracts millions of visitors of all ages every year, from family holiday groups, couples and solo travellers to people on honeymoon. The name ‘Cancun’ is often the subject of discussion as there are two possible translations of the name, the most popular and generally accepted translation is “nest of snakes” and the second translation and less known is “place of the gold snake”. Cancun is home to the world’s second largest barrier reef, so it is an ideal place for scuba divers to discover some amazing sea life – you could even try snorkelling if you don’t want to go too far under the water! There are also miles and miles of sugary white sands where you can soak up the glorious Mexican sunshine. As it is a big city, Cancun offers a variety of bars and restaurants, as well as some of the most sensational and best-known nightlife in the world, and for those who just want to relax in their resort, Cancun has plenty of amazing all inclusive hotels too. 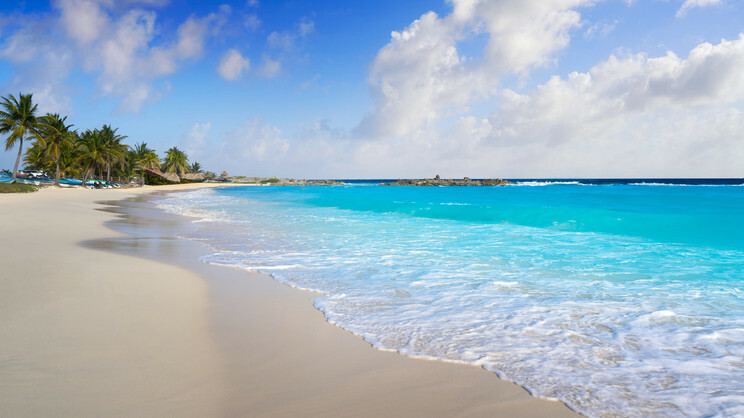 Flights: You can fly to Cancun from most major UK airports, including Gatwick, Manchester, Birmingham, Nottingham, Bristol, Newcastle and Glasgow. Passport/visa requirements: Your passport must be valid for the proposed duration of your stay in Mexico. You’ll need to complete an immigration form and have this when you both enter and leave the country. Packing essentials: Cancun boasts year-round warm weather, including exceptionally hot summers, so light, cool clothing is essential. As is sun cream and a sun hat. Apart from a dry season between February and April, Cancun experiences at least 7 days of rainfall per month, so it is advisory to pack at least a waterproof jacket. Snorkeling and scuba diving is undoubtedly one of the most popular activities for visitors to Cancun. With crystal clear waters full of coral and sea life, going under the sea here is an unforgettable experience that many tourists revisit again and again. One of the most stunning species that you can see in these waters are sea turtles, you can even arrange a snorkelling tour specifically planned so that you can learn all about the sea turtles and the ecosystem in which they live. Another hot spot for tourists is the fabulous Lorenzillo’s seafood restaurant and bar. Situated facing the lagoon, this restaurant specialises in Lobster – you can choose from twenty different ways for your lobster to be served! If you want to experience the wild side of Cancun, then the world famous Coco Bongo is where you should head! It’s popular with spring breakers and features lots of dancing, partying and live entertainment until 5am! As it is close to the equator, Cancun’s temperature tends to stay warm to hot throughout the year, with the lowest tending to be around the mid to low twenties. Cancun enjoys a subtropical climate, meaning that instead of experiencing summer and winter, it has wet and dry seasons. The best time to visit Cancun is from November through to April each year, as this is the time when you are less likely to be rained on! However – there are warm showers throughout the year in Mexico. You want to experience a vibrant and welcoming city that is jam-packed full of things to do and see! Playa Delfines, or Dolphin Beach as it translates, is arguably one of the most stunning beaches in the whole of the Caribbean. A hugely popular stretch of sand, what makes this beach stand out is that it has remained untouched with no resorts, bars or restaurants spoiling the view of paradise. It’s also home to the famous Cancun sign, which is plastered across almost every postcard, welcome pack and gift you may find. More exclusivity? Opt for Tulum Beach. Situated about two hours south of the busy Cancun hotel zone, this hangout has long been a secret getaway for many a celebrity. Tulum is also perfect if you’re seeking a more traditional Mexican feel, with the chain hotels replaced by cabanas. You’ll usually be accompanied by locals on the beaches, or even have the whole thing to yourself! For more stunning tropical scenery, you should take a trip along the coast from Cancun to the Riviera Maya. Here you’ll be greeted with the simply breathtaking blue water of Playa Maroma. Access to the beach is available through many of the main resorts on the riviera. Playa Maroma also has some of the best snorkelling options in the country thanks to the clear waters. Start off at Punta Maroma and swim along the coast to enjoy the true beauty of this huge stretch of beach. Although there’s no set dates, Spring Break usually lasts from late February to mid-April as it coincides with the breaks for all the different schools/colleges in America. The busiest period is usually mid-March as American students look to let loose in Mexico’s party capital. If you’re looking to party hard, and be surrounded by likewise people, then Cancun during Spring Break is a must, it can be pretty wild! The Day of the Dead, or Día de Muertos as it is known in Mexico, is the national holiday to celebrate life and remember those who have left us. Usually held in early November, it involves dressing up with scary looking costumes and make up, holding parties and even parading through the street. If you’re in Cancun in early November, you’ll be in for a treat. Every November 20th, Revolution Day is held to mark the beginning of the Mexican Revolution. Find a grand parade, plenty of child-friendly events and entertainment followed by you guessed it...more partying. Last but not least, arguably the most important day in the calendar for the locals (besides possibly Christmas) is Independence Day. Celebrated on September 16th, it marks the start of the war of independence with Spain. Head to the Government Building for the ringing of the bell, before embarking on a day and night of celebrations, amazing local food and tequila, who could forget tequila? !